Marjean Ridley loved to cook and share with her friends. 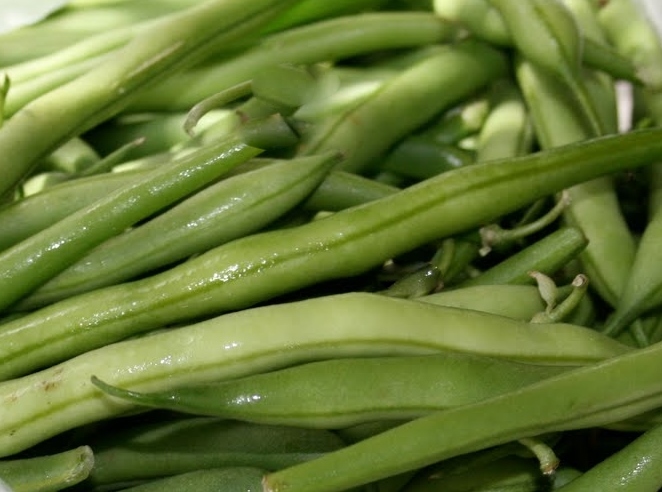 Her kids loved the dilly green beans as a snack. She and her friends loved to experiment with different ways to prepare food. Marjean and her sister, Sharon, were always trading recipes. This recipe also works well with asparagus. This recipe is scalable, as given for two pint bottles and you can make as many or as few jars as you like. Very handy when the garden is slow to produce or low in productivity. 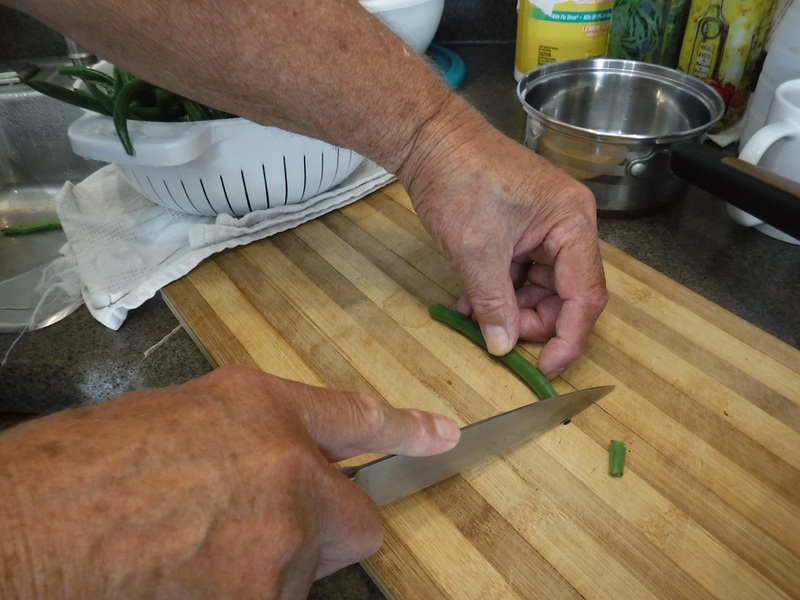 I prefer to can the long cut beans but it is your choice if you wish to cut the beans into bite sized pieces. 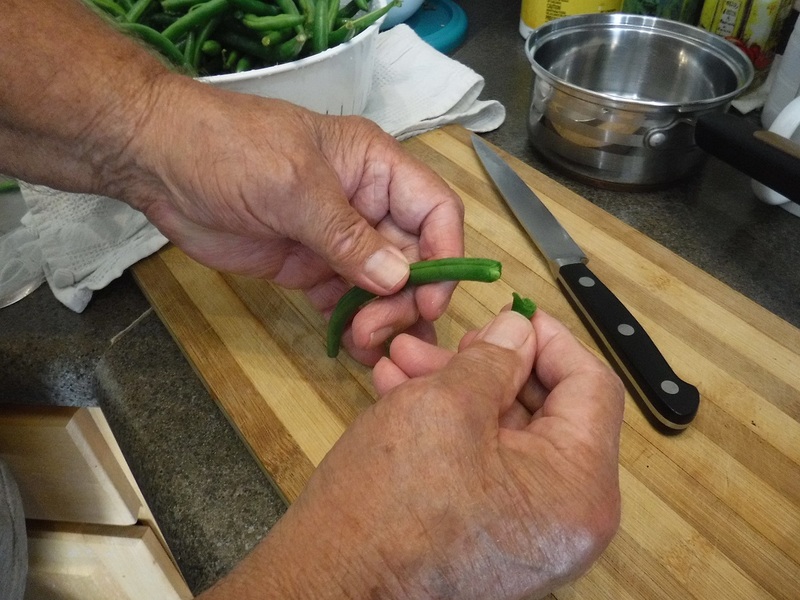 Wash and snap asparagus or green beans. 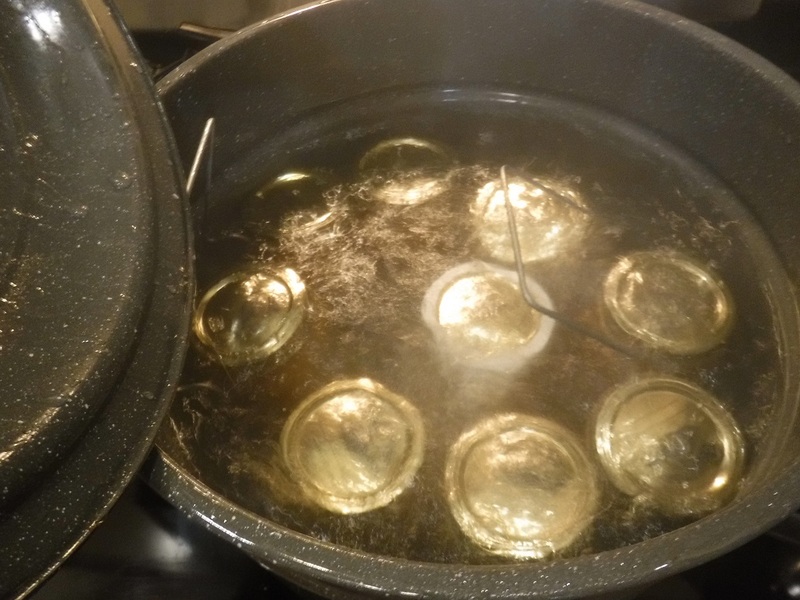 Boil 10-minutes with enough water to cover. Blanch in cold water. 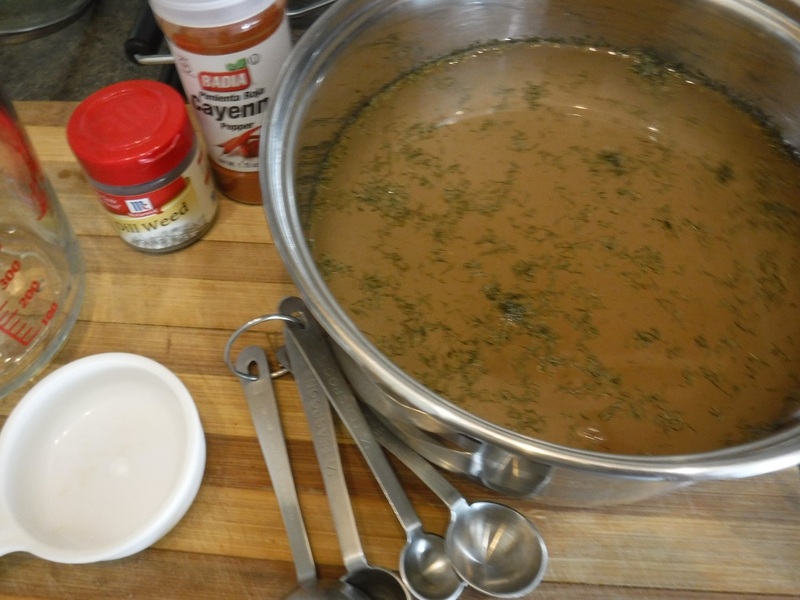 In a sauce pan bring water, vinegar and salt to a boil. Stir to dissolve salt. 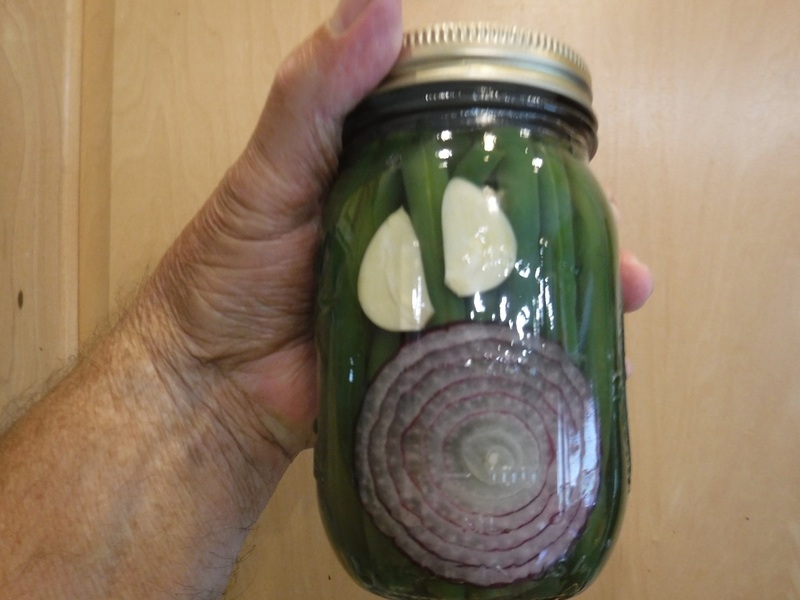 Slice clove of garlic and place in steralized jars. Add Cayenne pepper flakes and dill seed. 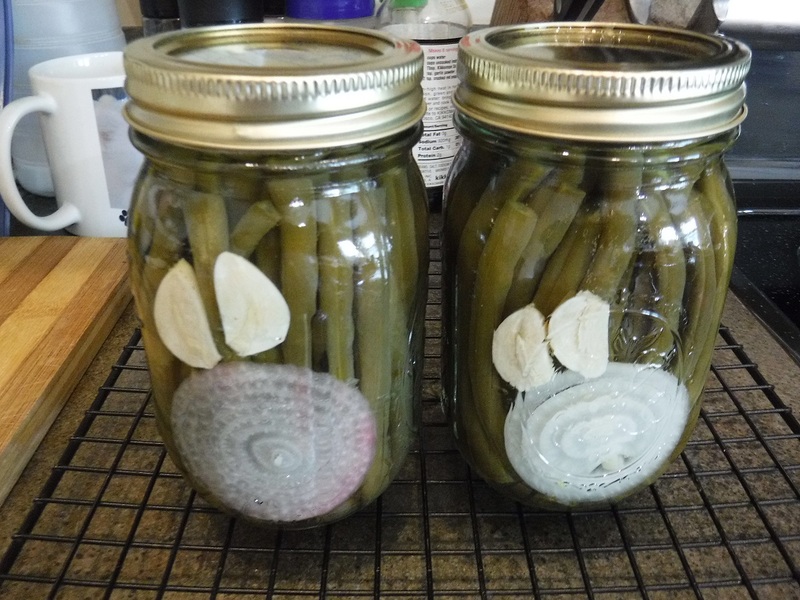 Pack vegetables into jars. Add hot syrup leaving 1/2-inch headroom. Process in hot water bath to seal for a time appropriate to your elevation using approved procedures - usually about 10 minutes. 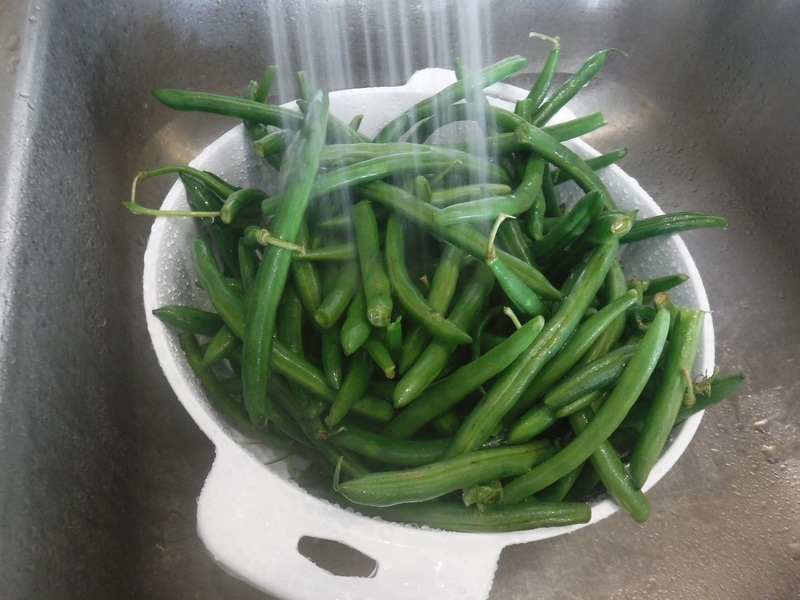 Dilly green beans are a pickle and can be treated with a hot water bath. 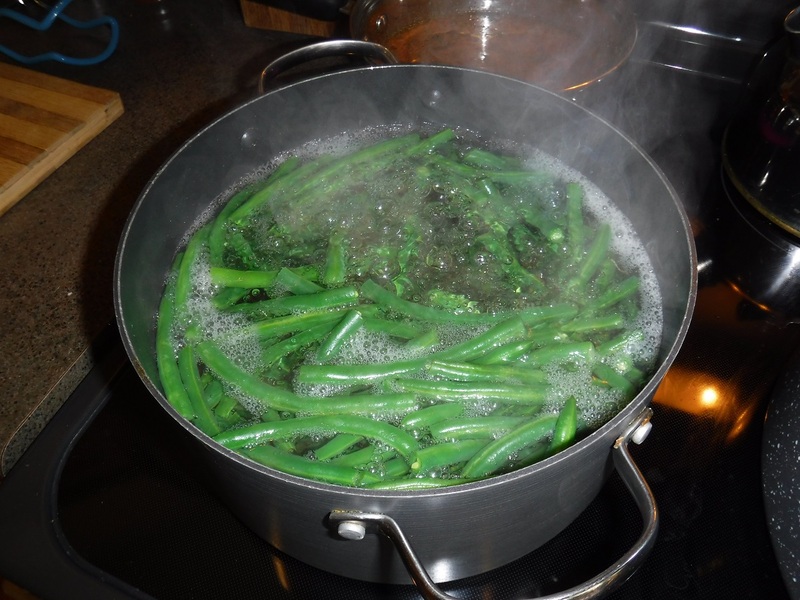 Note: Green beans canned as a vegetable in water require pressure cooking. *In Marjean's recipe she calls for dill seed. On the occasion of making this batch of beans, I only had some dill weed on hand (check your shopping list before starting a project). They are mostly interchangeable and I added it to the cooking vinegar mixture. The dill weed does cloud up the pickling liquid so I strained it through a coffee filter in a kitchen funnel before canning. I liked the resultant clear but flavorful pickling broth. **I am not a fan of raw onions except on chili, hot dogs and burgers. But I do very much like the suave sweetness of cooked onions. To Marjean's recipe I have added a very thin slice of onion to compliment the zing of the cayenne, the sharpness of the vinegar and the tartness of the dill. Don't get me wrong, the beans are wonderful even without the onion. One bottle has a slice of yellow onion and the other a slice of red onion which has, predictably, faded a bit after processing.